and then launched the lighter and fruitier Bright Crystal in 2006. In 2011, a new fragrance of the collection emerges, "a crystal that turns into a diamond," named Yellow Diamond. while being luxurious and feminine like a diamond. The bottle is shaped like the previous editions of the collection, colored in yellow, while its box is decorated with baroque ornaments. The face of the campaign is an Australian model Abbey Lee Kershaw, shot by Mario Testino in Paris. Its composition opens with luminous freshness of lemon, bergamot, neroli and pear sorbet. The heart features airy orange blossom, freesia, mimosa and water lily. The base is made of amber, precious musk and guaiac wood. 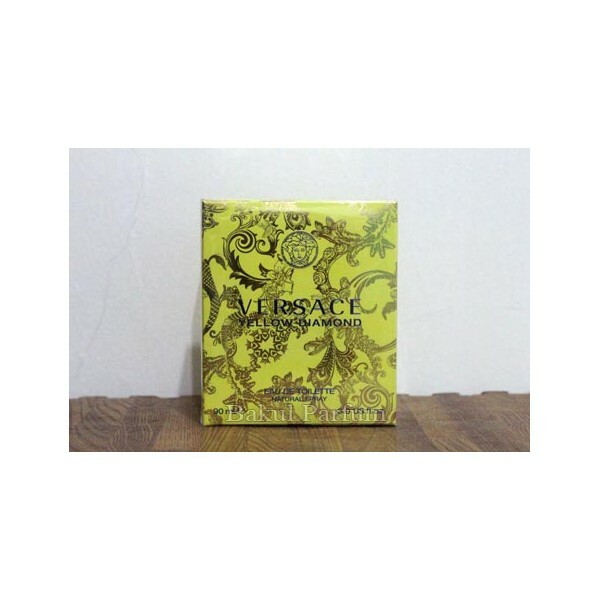 Beli parfum original Versace Yellow Diamond for Women sekarang, harga termurah di Indonesia! !